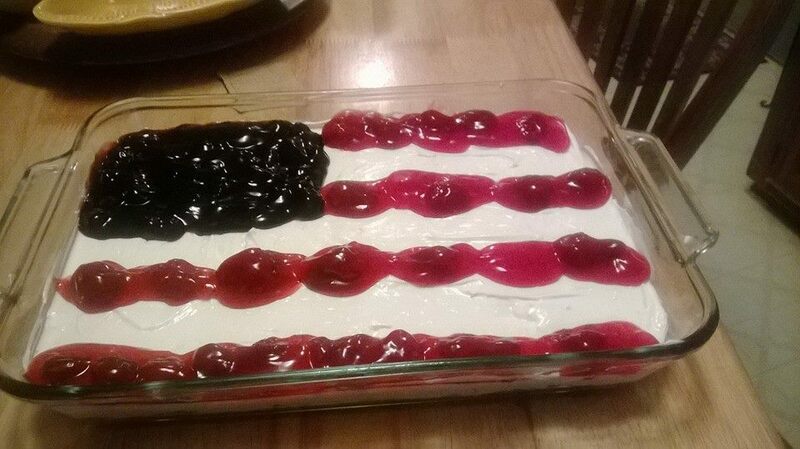 April Spears artfully prepared this cream cheese and fruit dessert for July 4th. Right now as you read this, someone is in the kitchen cooking. No, not at your favorite neighborhood restaurant. But your neighbor. Yes, a well-balanced scrumptious meal is being prepared and the aroma seeps through the tiny cracks in the doors and windows of your neighbor’s house. What are they cooking over there? It smells so good you are tempted to go knock on the door. In Any City, USA, Unknown Cooks are executing the daily grind of preparing food for the family. No one gets to see the meals of these not so famous cooks. In fact, no one gets to taste these meals but the family and occasionally invited guests. We can’t do anything about the taste at The Unknown Cook but we can do something about the showing. The Unknown Cook is a community where all cooks can put on display their best dish. You prepare meals day in and day out for your families. While you know they appreciate it, the cooks in our community will appreciate it more as we know what you went through to make it happen. We are always welcoming new members to the group. The Unknown Cook is a friendly environment with members of all ages from all around the globe. Feel free to join us to display your top-notch cooking skills. Want to join but can’t exactly find your way around the kitchen? That’s no problem. We are also a learning environment. One of our members is 17 and we all are going to learn something from the skills she has already displayed. Visit our Facebook Group and request entry into the community. We look forward to seeing you! Posted on July 10, 2014, in Uncategorized and tagged articles on cooking, baked salmon, barbecue chicken, bbq chicken, bbq ribs, chicken recipes, cooking, cooking show, dessert recipes, filet mignon, fried fish, fried tilapia, grilled fish, grilled salmon, grilled tilapia, how to barbecue ribs, how to ribs, ny strip, recipes, ribs, salads, spare ribs, steaks, sushi, unknown cook. Bookmark the permalink. Leave a comment.